It’s been a long and mostly uneventful winter in Newfoundland. With the latest snowstorms billowing around me and the final stages of some tedious contract work spread out before me, I’ve been day-dreaming about an exotic getaway. 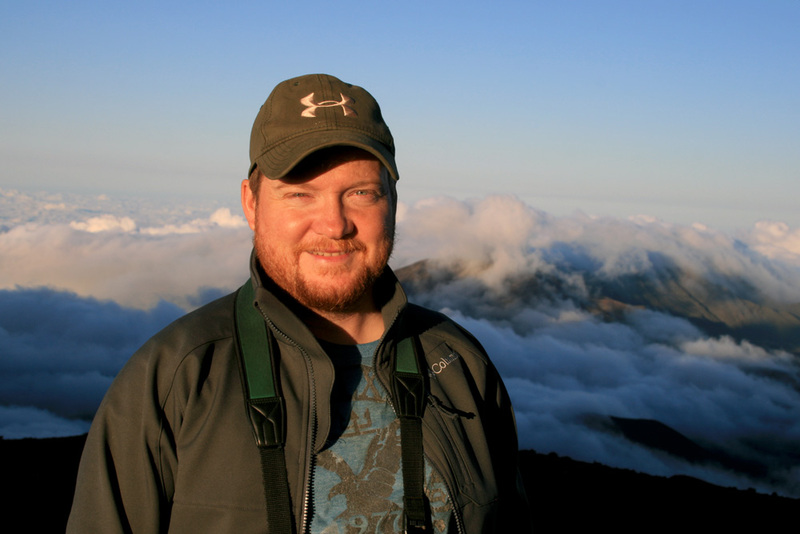 Several of my friends are currently birding in far-flung, tropical places … including Hawaii, where I was fortunate enough to co-lead a birding adventure for Eagle Eye Tours exactly one year ago this week (March 2014). After bidding farewell to our wonderful tour group, Jody Allair and I caught a morning flight from Honolulu to Maui for our own little excursion. Maui is home to three endemic songbirds that cannot be found on the other islands (sadly, there were others that are now extinct). 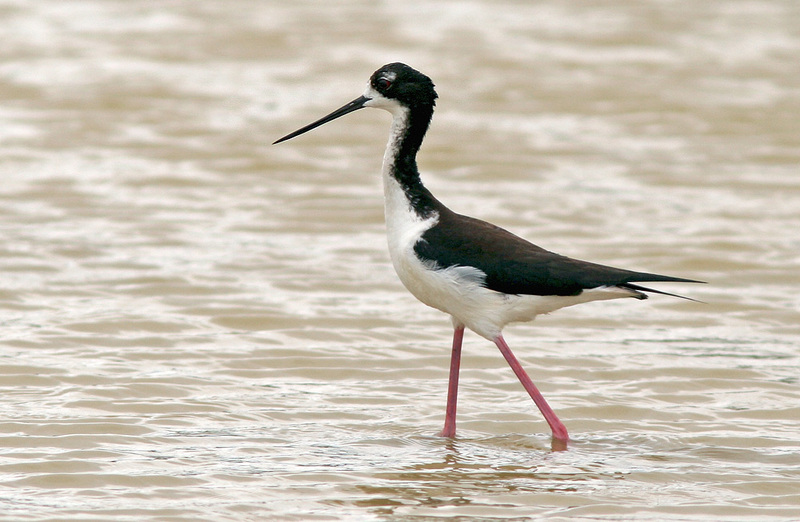 However, two of those can only be found in the Wakamoi Nature Preserve which is closed to commercial tour groups. Fortunately, Jody had been able to arrange a private hike with a local Nature Conservancy volunteer (thanks Chuck! ), and we were stoked at the opportunity to go birding there! 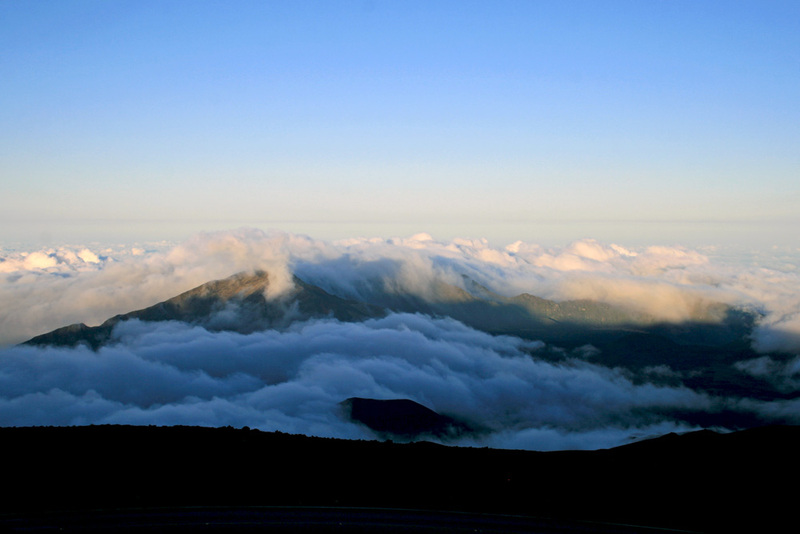 However, our sights were fixed on the heights of Haleakala as it loomed above us — and that’s just where we headed. After checking in at the fantastic lodgings Jody had booked, we made our way straight for Hosmer Grove in Haleakala National Park, where we dodged some rain showers and strolled the trails. A fine mix of native and introduced species rose up to greet us – Iiwi and Apapane are abundant here, while a few Hawaii Amakihi were hanging out near the parking lot. Japanese White-eyes were singing in the rain, and Pacific Golden Plovers had to be herded off the road. A nice surprise was a Hwamei (Melodious Laughing Thrush) that happened to be sitting in the open in a lush valley below us … great looks at this very secretive bird! But the highlight was definitely a Maui Alauahio that dropped in for a brief visit – the first Maui endemic of our visit! I’iwi is one of the most intriguing and recognizable native songbirds in Hawaii. Its long, curved bill is highly evolved to extract nectar from several species of lobelia – many of which are also endangered. 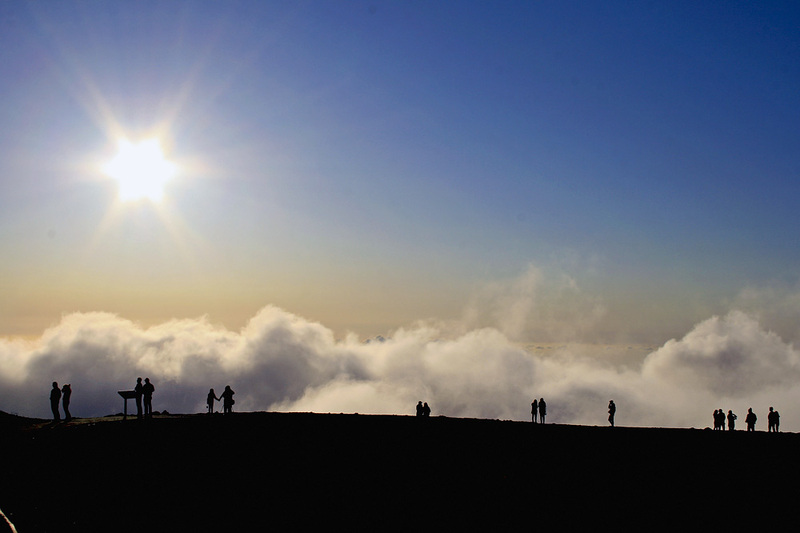 We began the long, winding ascent to the summit of Haleakala, just in time to join the busloads of “tourists” for a beautiful dusk above the clouds. But typical tourists we are not, and we soon slipped away to a less busy spot just below the actual summit, where we stood in wait as the sun began to set. It wasn’t long before it happened … Jody called out and pointed behind me. I turned in time to see a Hawaiian Petrel floating gracefully towards us. Seconds later, it banked and turned just 30 feet away (close enough to hear its wings flapping in the near silence) and then disappeared over the crater’s edge. I was kicking myself for not having the big lens on the camera, having been distracted by the amazing sunset happening “below”. But it was surreal and unforgettable moment, seeing an epic pelagic seabird almost 10,000 feet above the ocean, coming in to roost above the clouds inside an ancient volcano!! It was one of the things I had been most looking forward to the entire trip. 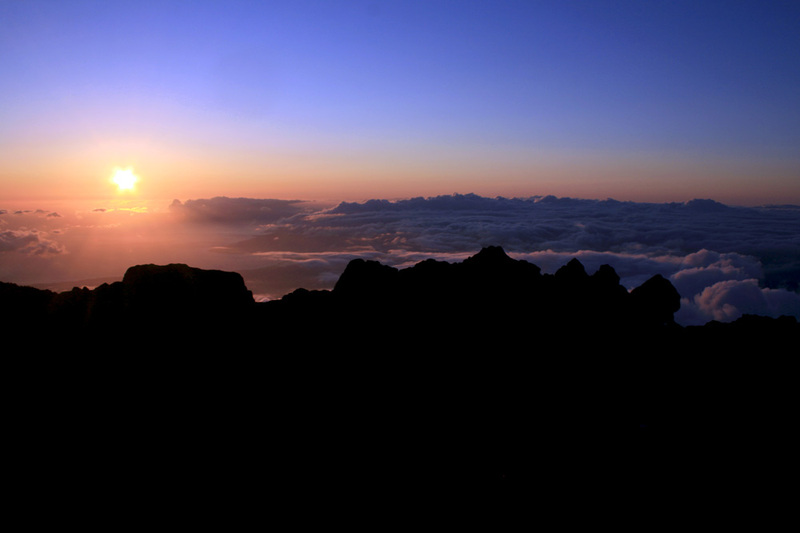 Me, overlooking the beautiful crater near the summit of Haleakala. 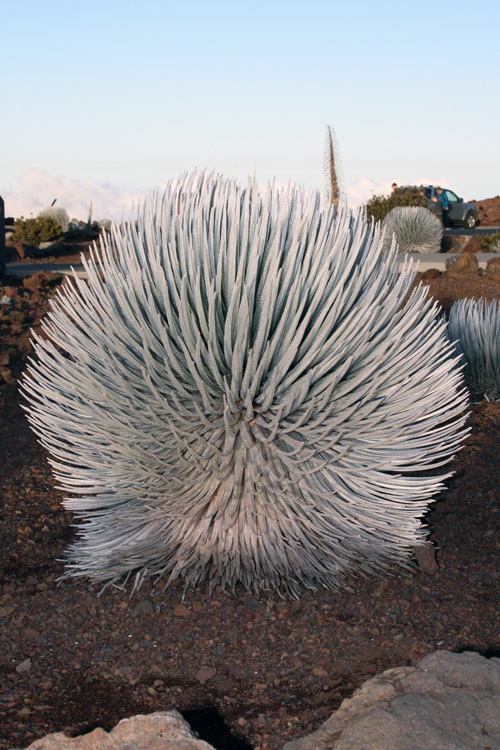 Haleakala Silversword is a threatened species that grows only on the high elevation, cinder slopes of this volcano. This resilient plant is strong enough to resist the wind and freezing temperature of this altitude, dehydration and the sun. Darkness settled in over the next thirty minutes, but we heard and caught glimpses of about a dozen more Hawaiian Petrels as they arrived for the night … eerie yet intriguing calls as they searched out their own burrows within the protection of the crater. We also had great looks at a Hawaiian Hoary Bat, the only endemic mammal on the islands! We rose early the next morning, returning to Hosmer Grove where we met our guide Chuck Probst at the entrance to Waikamoi Nature Preserve. 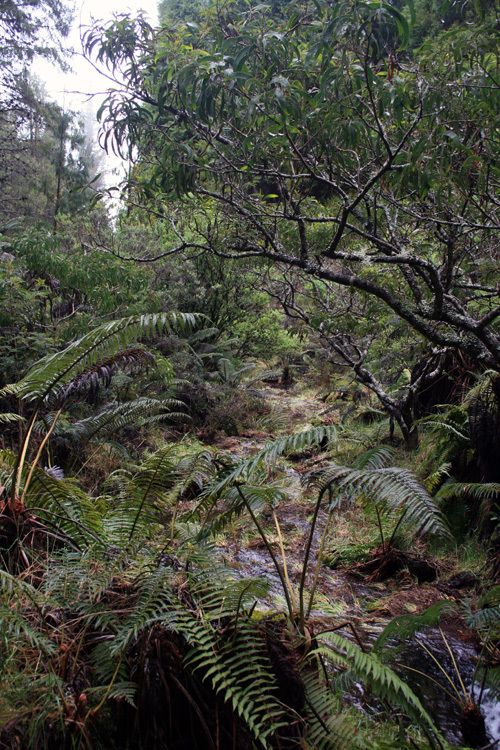 This beautiful section of rain forest and alpine shrubland has been set aside as a sanctuary for hundreds of native species – birds, plants & insects; many of them endangered. The excitement was palpable, despite the clear threat of rain. The potential of seeing two more endemic songbirds, including one of the rarest and most special birds in the world, was the whole reason we had come to Maui. The lush rain forests of Waikamoi Nature Preserve are home to many native and endangered species … including some very rare birds! Hawaii is also home to many interesting plants. 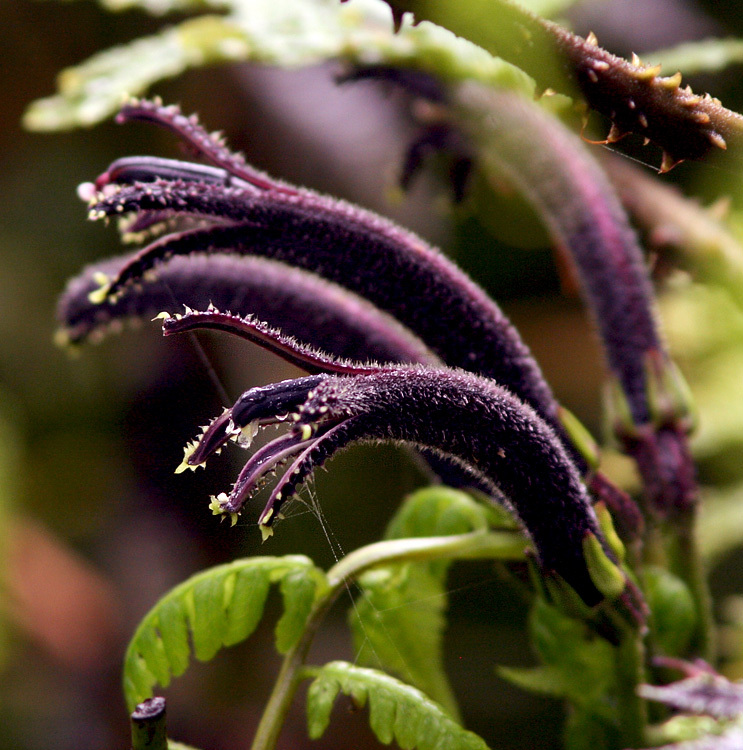 This lobelia (cyanea) species is unique in that it evolved to have thorns when it is young (like this plant), but not when it older and the flowers were out of reach of the flocks of roaming, flightless ducks that once roamed Maui! Sadly, those ducks are long extinct and these wonderful plants are endangered. A close-up of the flower of this interesting lobelia … a classic curved shape that co-evolved with the specialized bill of the I’iwi (see above). Our party of three doubled as a couple (birders and Nature Conservancy supporters) and one of the very talented field researchers working in the preserve joined us for the hike. We were nearly turned back by a combination of rain and overflowing brooks that had to be “forged”, but our determined group pushed on. And it was worth it! 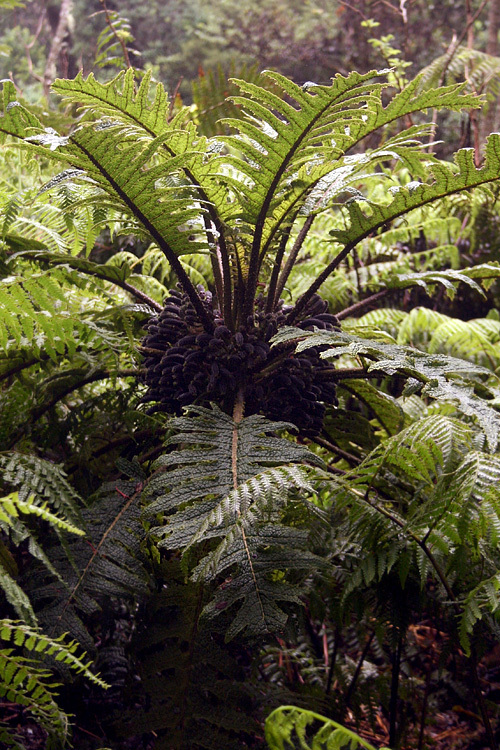 The lush, mostly native forests of Waikamoi were unlike others we had experienced in Hawaii, and we could “feel” the specialness of this place. 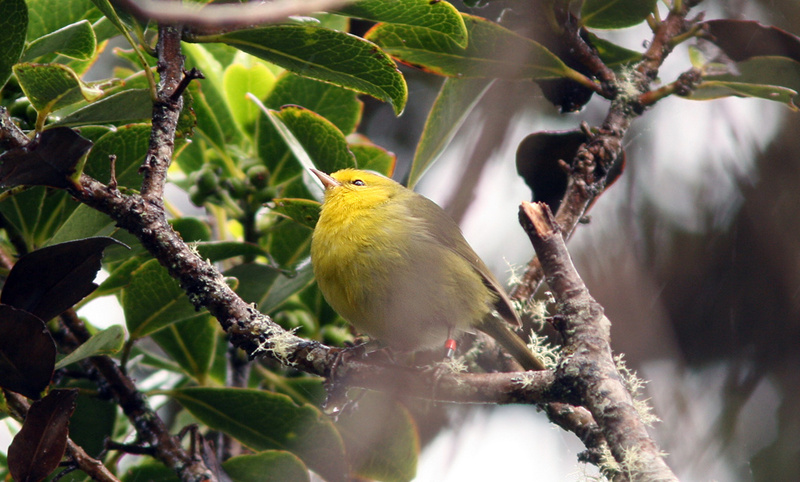 It was quite birdy despite periods of rain … Iiwi, Apapane and a few Hawaii Amakihi flitted around in the canopy. As many as seven Maui Alauahio popped in throughout the morning. But the real highlights came as we approached the end of the infamous “boardwalk”, when a brilliant male MAUI PARROTBILL popped into view! This incredible honeycreeper, with a thick parrot-like bill, is critically endangered … indeed, it is possible that less than 500 adults remain in about 35 km² of habitat on the northeastern slopes of Haleakala. It is so rare that even for those lucky enough to visit this restricted area, it is missed far more often than it is seen. We continued combing the area over the next hour or so and were rewarded with THREE Maui Parrotbills (two singing males and a female). In fact, the researcher that was with us also found two more off trail, and she was ecstatic. It was an exceptional event!! 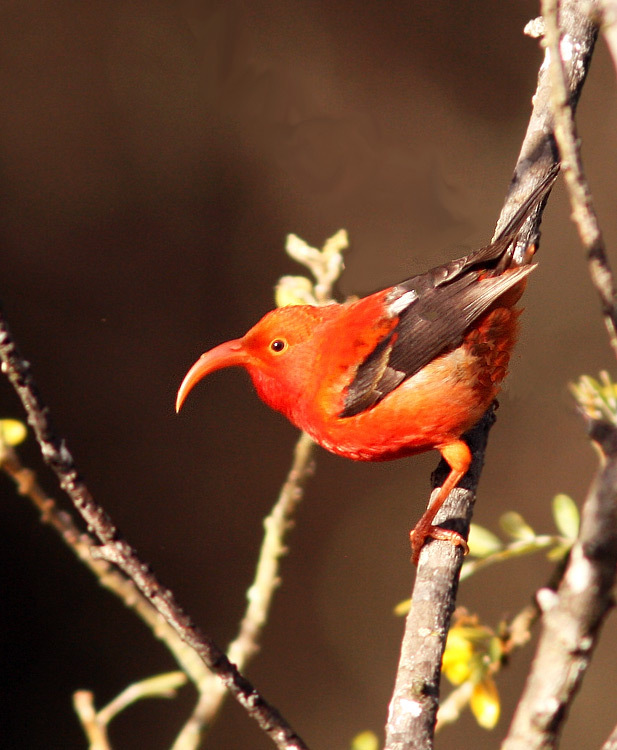 Alauahio (Maui Creeper) is a small, active and very bright little honeycreeper. We were fortunate to see several during our short visit to Maui, including this one at the very bottom of the Waikamoi boardwalk. 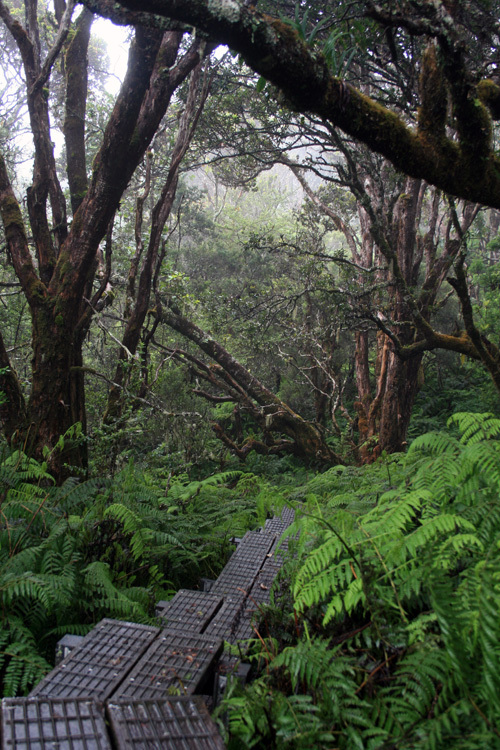 Waikamoi Nature Preserve protects one of the most special and critically endangered habitats in the world. 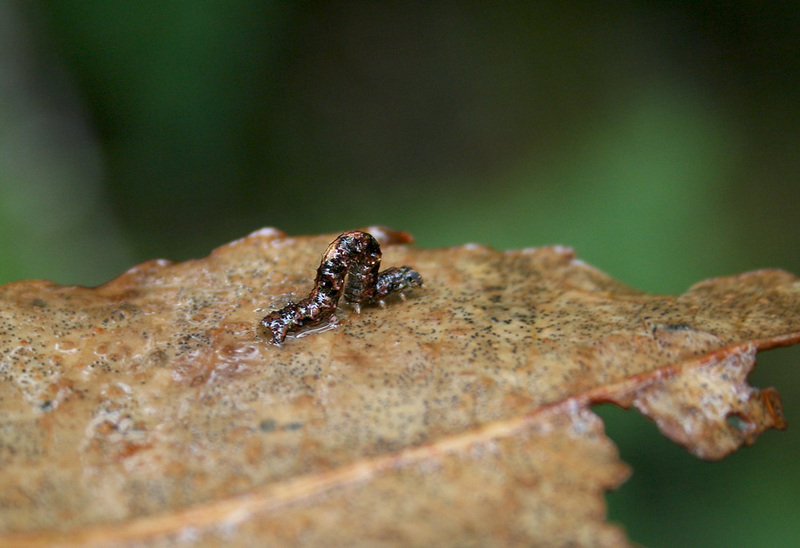 Another unexpected, and very cool, find in the depths of Waikamoi Nature Preserve was this Carnivorous Caterpillar. This family of caterpillar, endemic to the Hawaiian islands, are unique in that they are predatorial. Their technique is straightforward … lying in wait, when another insect wanders by it springs forward, snatches its prey and devours it. This one was on Jody’s backpack, apparently looking for a BIG lunch! With just a few hours ot spare before our long trip home, we snuck in a visit to Kealia Pond – and we had just 20 minutes to very quickly check the wetlands before the compound closed for the day. In addition to the expected species (e.g. Black-necked Stilts, Pacific Golden Plovers, Sanderling, Ruddy Turnstones, Black-crowned Night Herons, Hawaiian Coots, Northern Shoveler), we also saw our one and only Semipalmated Plover (a continuing bird which was quite unusual for Hawaii) and only our second gull of the entire trip – a Bonaparte’s Gull. Five Nutmeg Mannikin, two Grey Francolin and a Red-crested Cardinal were hanging out along the road heading in to the pond. Our final birding stop in Hawaii was at a non-descript location where a local had suggested we might find some Orange-cheeked Waxbills … one of the few remaining introduced songbirds left to see on this trip! It took us a while to find the spot, but when we did the birds were right on cue – just as promised. Our final “tick” of the trip. It was an absolutely amazing trip to one of the most incredible and special places on earth … from a purely natural history point of view of course 😉 Looking forward to the next one! This entry was posted in Birding Tours, Birding Trips, Hawaii and tagged birds, Eagle Eye Tours, Hawaii, honeycreepers, Iiwi, Maui, Parrotbill, Tours, wildflowers. Bookmark the permalink. What a fantastic experience, Thanks for sharing these moments and wonderful photos.